Wow, just wow! What an incredible, moving, heart-wrenching and highly emotional book, and by far one of the best contemporaries I’ve read. Not just this year, but one of the best I’ve ever read! This is the first I have read by Maria Realf and it will definitely not be the last. The One had me reaching for the tissue’s with every new page, it is a book that makes you think never to take anything for granted as you don’t know what’s around the corner. 13 weeks before her wedding to Josh; Lizzie is on cloud nine she is going to be marrying the love her life, nothing could go wrong. That is until Alex; the man she always saw as being her ‘The One’ comes back into her life after years apart, but he hasn’t come to break her or Josh up he has come with devastating news, news that will change her life. Lizzie is now torn between the man she is set to marry and supposed to live happily ever after with and the man she has always loved, the man who stole her heart then went on to break it. I love the way this is written, you follow Lizzie as she is getting ready for her big day, as she struggles with her feelings for both men and as she is trying to get her thoughts in order to decide what she must do. Then the story briefly jumps back to when Lizzie and Alex met, their relationship through University and above all what happened to break them apart – which is in itself deeply sad and beautifully written. The reason why Alex has come back is heart-breaking, and I will admit that the ending was deeply emotional and I did shed a tear or two – note to reader; stock up on the tissues you are going to need them! The split between them was difficult on them both but there was a reason for his sudden leaving the country. Lizzie is a good woman, she has a kind honest and loyal personality and a heart of pure gold, she wants to do right by everyone. Her heart has always belonged to one man, but when Alex left he did break it, I did get the feeling that Josh was sort of a close number two where for Lizzie. She loves him dearly, she is so happy with him but there is a piece of her that still belongs to Alex and you pick up on that within the first few pages when she finds herself in a complicated and difficult position. The One is a touching, honest, emotional, heart-breaking, loving, poignant story all about true love, about second chances. Ms Realf’s writing is flawless, she has a real gift for pulling at the heartstrings and drawing the reader into her story, the character’s are brilliantly portrayed, realistic, likeable, humbling and engaging whether that be the leads of the secondary character’s, each character is beautifully created. This book is simply stunning, if you love the likes of PS, I Love You by Cecelia Ahern and When I Fall In Love by Miranda Dickinson (which are two of my favourite books) then this is the book you need to read, I can guarantee you will love it and be moved to tears. I really cannot recommend this enough, it is a book that everyone needs to read. This was a complimentary copy via the author in exchange for an honest review, Thank you Maria! The One can be purchased from Amazon, go and buy it. This entry was posted in Complimentary copy, Contemporary, Harper Impulse, Reviews and tagged Complimentary copy, Contemporary, Harper Impulse, Maria Realf, Review, The One. Who ‘s meddling with happily ever after? Well this is a wonderfully original and enjoyable story, this is the first book I have read by Ms Chara and I thoroughly enjoyed her entertaining and refreshing writing, and I absolutely adore the laugh out loud humour that had me giggling away – which did resort to bemused expression from the family – and I know I will be reading Sun Chara again. Sam is a from a very, very wealthy family she is used to the luxuries in life the only thing that she doesn’t like is the fact that her mother is a control freak, I mean literally her mother is like the devil incarnate and I did really hate her from the beginning. Her mother wants nothing but high status and everything that comes with it, she wants her daughter to marry this snobbish banker just so that they can all cement themselves into the highest of society. Whereas Sam has only eyes for the rugged, working class penny-less Irishman; Johnny. Well the wedding of the year has arrived but one thing leads to anther and she ends up not marrying the man she was supposed to but her true love; Johnny – or so they both think! That is until once settled into not so happy married life, they get the shock of their lives plus both have secrets on the closet all this could destroy their relationship. With a bit of divine intervention from the wonderfully quirky; Mirabella, these two strive for what they both want, but will they get it? I am known for having soft spots for down on their luck, regular heroes so it’s not surprising that I took adorable Johnny into my heart right from the off. He is a genuinely good man, he has a kind heart and he just wants to do the right thing and show Sam and her pretty horrendous family that he is exactly that; a good man and that he can make Sam happy. Johnny may comes across as all fun and games, never serious but he is trying, he wants him and Sam to work. At times I don’t think that Sam really deserved Johnny’s love. I did find the beginning a little confusing especially with the jumping from different character POV’s – don’t get me wrong I do enjoy character hopping perspectives, that flitting from character to character can really get the reader to become immersed in the story, but the first part did have me scratching my head. I do have to say that once I settled into the story, I really saw how that first part was essential for the whole frame work of the story. I could clearly identify where the author was going as the story began to develop through the book. I liked the sound of the blurb which interested me enough to want to read it, then I found that there was so much more going on then what the blurb was saying. There is a certain, shall I say magical quality to the plot that I thought was a unique twist on the stereotypical romantic comedy genre. It was that twist to the tale that really made the book shine for me, I loved the addition of Mirabella and what she brought to the story. Over all this is a charming, humorous and quirky story, it is one of those books that some readers may feel not for them once started reading but I highly recommend that you persevere don’t give it up and I can guarantee that you will fall in love and go on an interesting journey. Quirky and fun, a must read for fans of romantic comedies that have a certain edge. A Match Made in Heaven can be purchased from Amazon. This entry was posted in Complimentary copy, Contemporary, Harper Impulse, Reviews and tagged A Match Made in Heaven, Complimentary copy, Contemporary, Harper Impulse, Review, Sun Chara. Injured and terrified after an attempted abduction, desperation drives artist Kate Ward to the idyllic scene of her ex-husband’s recent suicide. Labelled a hysterical, grieving divorcée, no one believes she is being pursued by two violent men demanding answers she cannot give. Not the police, not the doctors, and not the guests at the Aberystwyth hotel she has come to in an attempt to find out what happened to her charismatic photographer ex-husband, and why her identity – and her life – are now at risk. Well, what can I say about this? What a corker!! It really is an incredible read, this is the first book I have read by Lorna Gray and it definitely will not be the last. I will admit that I am a fan of war era romances and I have read a lot of them but there is something very special about this book. This book is right up there with the best I have read right alongside the likes of Pam Jenoff and Kate Mosse. Set just after the war in 1947, After Kate Ward’s ex-husband committed suicide she found herself being nearly kidnapped, injured and then followed by two unknown thug’s who are wanting answers to questions that she doesn’t know, she doesn’t understand the questions or why these people would be after her. She flees her home in Lancaster to Wales where she stays in the Aberystwyth Hotel, in the very same area where her ex-husband had spent the last of his days. She hopes that she can try to figure out what is going on and why she is being followed, but those answers aren’t coming as she thought as she finds herself under the gaze of the other hotel guest’s who see her as an unhinged, paranoid and grieving woman who by all accounts could be suffering from her own mental break down. No one believes that she is in as much danger as she states, she is fearful and alone with terrifying events that even start clouded her own judgment. She can’t trust no one and yet she can’t seem to find the answers she needs. She eventually finds an ally in the form of elusive veteran come crime writer Adam Hitchman who is in Aberystwyth doing research. Along with Adam, Kate takes off a journey to find the truth and discover why her life is in danger and who is behind it, along the way they keep bumping into the mysterious Jim Bristol who keep’s turning up along the way. But is he more than he appears to be? As they become embroiled in a dark and dangerous, life or death game of cat and mouse, Kate and Adam become closer until a romance develops between this unlikely couple. This is written I first person you see the story unfold though Kate’s eyes, you feel her troubles her fears her few joys and this creates a connection to her that you very rarely get in other books. I know a lot of readers don’t like first person books, but this is a must read it is stunningly beautiful book, it really is too good to be true. Ms Gray has done an astounding job at conveying Kate’s circumstances and her fragile frame of mind, her confusion, unease and fear is palpable from that first page. Kate has a complexity and honest vulnerability about her that is engaging to the reader, even when there is lightness like when she is reading Jane Eyre in the hotel there is raw edginess to her that draws you in. I am known for my love of historic details in stories and this is spot on, the vividness and description of Aberystwyth is incredible. Gray takes hold of your senses and imagination from that first page and keeps hold of you right to the end. There is a real feeling of the life and time throughout the book the peace from the end of the war, the relief that it is over as well as the unknown. I like how Gray has added those little touches that bring this book to life, such as bringing to attention that the UK were still on ration books until the mid-fifties. I love that! The War Widow smoothly takes you on a journey that has more twists and turns then being in a maze, it is beautifully written with a plot that will make your mind boggle and you find yourself stumped for words at what is going on. It’s a roller coaster ride through a dangerous and complicated time, where all is not quite what it seems. I absolutely loved it, it is a page turning, compelling and intricately crafted perfect piece of thrilling fiction which has a wonderful and understated romance tucked away between the pages. It is a timeless and thought-provoking story that gripped you from the onset and doesn’t let you go, with characters are intriguing and strong each one is precise and consistent stories of their own that runs throughout to keep you engaged. This was a complimentary copy via the author and the publisher in exchange for an honest review. The War Widow is available now and can be purchased at Amazon. This entry was posted in Complimentary copy, Harper Impulse, Historical Romance, Reviews, Thriller's, WW2 and tagged Complimentary copy, Harper Impulse, Historical, Lorna Gray, Review, The War Widow, Thrillers, WW2 Fiction. 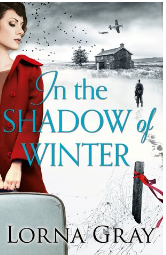 “I have a strong relationship with the past just like Eleanor, the heroine of debut novel In the Shadow of Winter. My inspiration to write about 1940s Britain comes from the traces that still live around us today. It comes from the tales that my elderly neighbours tell, and from the details and contradictions that have been recorded from a time we know so much about and yet no two people ever describe it in quite the same way. This is what first inspired me to write In the Shadow of Winter and to set the intensely emotional adventure that unfolds within it, with all of its danger, romance and mystery, in the winter of 1947. Frankie Hi Lorna, Welcome to Chicks, Rogues and Scandals! Thank you for taking the time to chat with me today. Firstly, Can you tell us a little about your latest release? This can be your most recent or up-and coming release. Lorna Hi Frankie, thanks so much for having me on your blog! 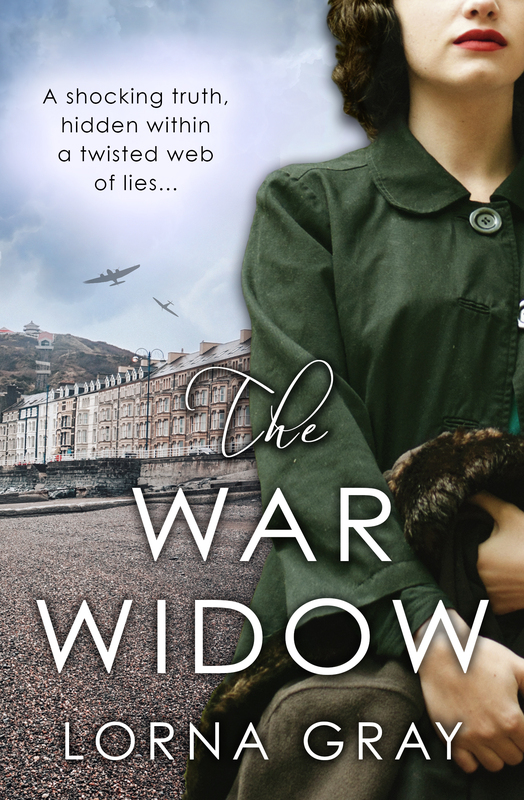 I’m delighted to tell you that my second post-WWII mystery The War Widow has just been released by HarperImpulse in paperback and on Kindle. The year is 1947 and, while the bells of a Royal Wedding peel out to the fading echoes of war, danger stalks the coastline of Wales. Labelled a hysterical, grieving divorcee in the wake of her ex-husband’s death, no one will believe Kate Ward is being pursued by two violent men demanding answers she cannot give. Not the police, not the guests at the Aberystwyth hotel, and certainly not the reclusive war-veteran-turned-crime-novelist, Adam Hitchen, a reserved widower who is the only source of kindness in a shadowy world of suspicion and fear. As ghosts old and new rise to haunt her, Kate must rely on all her strength and courage as she risks both her identity and her life to uncover a twisted web of lies. Frankie Wow!! The War Widow sounds absolutely amazing. If you could take a holiday in any era and place, When and where would it be? Lorna Can I have a holiday in Regency England please? Dancing, horse riding and long summer days (or at least that’s how they make it look in the various adaptations of Pride and Prejudice). Sounds like heaven. Frankie Sounds great to me. If you could have one of your books made into a film, which book would it be and who would play your lead characters? Lorna If they made a film of The War Widow, the actress who plays Kate will have to really capture her quiet sense of humour and her oft-underestimated inner resolve. I think Carey Mulligan could do it perfectly. Adam could be played by Henry Cavill – suitably brooding with a nice smile. Frankie This is a film that I would love to watch. Out of all your work, who is your favourite character and why? Lorna Oooh, now that’s a tough one. Obviously, I’m totally in love with the hero and heroine in my books otherwise I wouldn’t love writing about them. But I really admire Kate (the heroine of The War Widow). She isn’t an extrovert but she’s steadfast. For me there is no more proof of her bravery than in the way she faces her most personal challenge of all – the question of who she is set against the way other people perceive her. Frankie If you ever decided to write a different genre of book, which would it be? Lorna One of these days I’ll have to try writing about the present day. I spend so much of my time thinking about the 1940s and researching the era and so on, focussing my attention on 2018 would be quite a challenge! Frankie What are you reading at the minute? Or your last book you read? Lorna I’ve just read a very unappealing-sounding memoir by a retired doctor for the sake of researching medical training in the post-war period. He called it Bombs, Boils and Brushes. Yuck. Luckily, he turned out to be a really likeable character and fantastically useful! Frankie Despite the title, that sounds like an interesting read. When writing do you plan the full book ahead, or do you just go with the flow? Lorna I always have an overall plan when I start but the finer details develop as I get to know my characters. They tend to have their own opinions about what they want to do. Frankie How do you like to relax once you’ve finished writing? Lorna I keep a fabulous little herd of goats and a few ponies so when my head is full of book-stuff and I need a little break, I go out to the field and talk to them for a while. Believe me, a goat is a wonderful companion when you want to forget a few stresses. They are either eating or sleeping and always pleased to see you. A bit like vegetarian dogs really. Frankie Aw, what a wonderful way to de-stress. That sounds wonderful! Thank you so much for taking the time to chat with me today, Lorna I have just one more cheeky question, just for fun…. If you were stranded in the middle of nowhere over night, no civilisation around, with nothing but your backpack what four other things would you have with you? Lorna Well, if I was going to be stranded, I’d have to make sure it was somewhere I’d really like to be such as Scotland. So let’s say I’ve managed to hitch a ride on the Fort William to Mallaig train (the Harry Potter train) and stepped off as it was rolling gently around the perimeter of one of the great lochs. It’ll be summer, obviously, so the air will have that warm, slightly mossy smell. There are a few pine trees growing on an island in the middle of the lock and the sky is just settling to dusk, turning the expanse of water a dappled mixture of very soft blue and pink. There won’t be a train back again until tomorrow so I’ll find myself a nice flat bit of ground which is dry and just sufficiently sheltered by the rising land to my back. Out of my backpack will come a blanket for warmth and comfort, a packed tea containing all sorts of nice things and a cushion for my head. I’ll lean back against a convenient rock that’s still warm from the sun and I’ll watch the rabbits hopping by and the buzzards heading to their roost and wait until the owls come out. And because I still have one spare item that I’m allowed to bring with me, I imagine I’ll have asked my husband to come along too. Because at moments like that, it’s really nice to have someone on hand who will quietly share their thermos with you. Frankie Aww, that’s really lovely! I can see vividly now. Thank you! On sale now and can be purchased at Amazon. Injured and terrified after an attempted abduction, desperation drives artist Kate Ward to the idyllic scene of her ex-husband’s recent suicide. Labelled a hysterical, grieving divorcée, no one believes she is being pursued by two violent men demanding answers she cannot give. Not the police, not the doctors, and not the guests at the Aberystwyth hotel she has come to in an attempt to find out what happened to her charismatic photographer ex-husband, and why her sanity—and her life—are now at risk. This entry was posted in Harper Impulse, History, Interviews, Spotlight and tagged A Chat With. . ., Author Interview, Harper Impulse, Interview Exclusive, Lorna Gray, Th War Widow, WW2 Fiction. A heart-warming novel about love and new beginnings, this is the perfect book for spring! This is the first I have read by Mary Jayne Baker, so I didn’t know what to expect from her writing or this book. I all knew when I first opened this book was that I really liked the sound of the story and that was enough for me to start to read it. It’s been a while since I read a contemporary/chick-lit and this has just made me fall in love with this genre all over again. This is funny and infused with real warmth, realism and wit. The opening grabs your attention right from the first sentence, it makes you wonder why Kitty is running down a dirt track in her wedding dress? What has made her do such a thing and more importantly is it really wise of her to be hitch hiking when she is in such a distraught state? But she does – and good thing too as she meets cheeky go lucky, free spirit Jack Duffy, who is traveling around in a campervan with a pregnant dog. Jack helps her in more ways than she ever realises. Kitty needs to run, she has found something out that has rocked her world and now she needs to get as far away as possible. Which is how she ends up hitch hiking in her wedding dress! She is alone, vulnerable without a plan as to what to do or where to go, when along comes Irishman Jack in his rickety campervan who gives her just the opportunity. Widower Jack is a complex individual, he presents himself as a bit of a ‘Jack the lad’ as he travels around with nothing but his dog for company and writing children books to bring a bit of cash in. But, beneath all that Irish charm he is man that is hurting, he has got a lot of stuff going on in that handsome head of his – stuff that he refuses to deal with. Like Kitty, he is running away. The chemistry between Kitty and Jack is light and fun when they first meet, he patiently listens when she wants to talk. They laugh and joke and immediately hit it off, and when things get serious and all their secrets come out they are supportive, protective and caring towards one and other. This is such a sweet story of moving on, these two characters have each experienced some pretty awful things in their lives finding happiness and most of all love out of the ashes of life’s fire. This is written in first person, from Kitty’s point of view and even if your, not one to read this style I would say give it a go. Personally, I don’t care either way! If the story is strong well-articulated and extremely well written, Baker grabs your attention with her skilful words and her obvious passion for the story she has written. What I do like about first person narrative is that you are seeing the story unfold through that particular character’s eyes and this one really appealed to me Kit is a very ordinary woman. She’s starts off as a bit down on her luck, but’s she’s smart and savvy and once she figures out what direction she is going to go in, she goes for it. 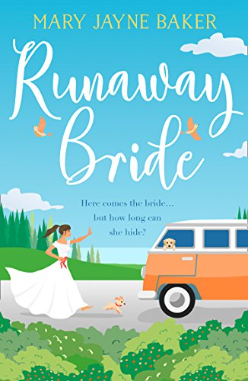 I thoroughly enjoyed Runaway Bride, if you like the works of Lindsey Kelk, Jane Costello and Sophie Kinsella then you will love this book and this author, who I will definitely be reading again. Very enjoyable read! Runaway Bride can be purchased at Amazon. This entry was posted in Contemporary, Harper Impulse, Reviews and tagged Chick Lit, Harper Impulse, Mary Jayne Baker, Review.